[S9] Free BMD. Index. Online @ https://www.freebmd.org.uk/ "Dec Q [Winchester] 7 241." [S61] Upper Beaconsfield History Archive ,"photocopied pages, not sure of source - probably history of All Saints' Grammar - A4 publication, typed - gives Helen's birth year as 1846, but registration shows 1845." [S185] Property Titles. ; PROV (Public Records Office Victoria), C/T 1523-443 + C/T 2002-376 - The English Scottish and Australian Bank Limited to Helen Rosa Goff widow, William Henry Goff Jeweller both of Beaconsfield and George Edward Clayton of No 349 Collins Street Melbourne Accountant - as tenants in common - C/T 3169-648.
motgage over this CA continued until 19 Mar 1940. [S185] Property Titles. ; PROV (Public Records Office Victoria), C/T 1120-983 - Agar Wynne and Robert Joseph Patrick Gibney to Helen Rosa Goff widow, William Henry Goff Jeweller both of Beaconsfield and George Edward Clayton of No 349 Collins Street Melbourne Accountant - as tenants in common in equal shares - C/T 3613-543. [S185] Property Titles. ; PROV (Public Records Office Victoria), C/T 3169-648 - Helen Rosa Goff of Beaconsfield Widow and William Henry Goff of Princess Avenue Caulfield Jeweller - proprietors as tenants in common - C/T 4085-829. [S185] Property Titles. ; PROV (Public Records Office Victoria), C/T 4085-829 - William Henry Goff of Princess Avenue Caulfield Jeweller is now the proprietor. [S5] Registry of Births Deaths and Marriages Death Index Victoria 1921-1985 "#D6390 age 81 [par James CLAYTON & Helen]." [S11] Newspaper - Argus 11 Apr 1928 p1. [S14] Newspaper - Western Mail Perth, 19 Apr 1928 p40. [S35] Probate Records, PROV (Public Records Office Victoria), VPRS 28/P7, unit 278; VPRS 7591/P4, unit 475. [S83] Online index to the UK census "Class: HO107; Piece: 1480; Folio: 891; Page: 4; GSU roll: 87804-87805." Death-Notice* 18 Mar 1892 GOFF -On the 17th inst, at her parents residence 6 Williams road Windsor, Harriett Helen Sydney, eldest daughter of William Henry and Helen Rosa Goff, aged 23 years. [S50] Miscellaneous Source, Ireland Births, 1864-1881," database, FamilySearch (http://familysearch.org/). Indexing Project (Batch) Number C01190-1 / System Origin Ireland-EASy / Source Film Number 101176 / Reference Number v 17-2 p 651. [S2] Registry of Births Deaths and Marriages Federation Index Victoria 1889-1901 "#D3682 age 23." [S11] Newspaper - Argus 18 Mar 1892 p1. [S1] Registry of Births Deaths and Marriages Pioneer Index Victoria 1836-1888 "#B25526." [S16] Newspaper - The Age The Age (Melbourne, Vic. : 1854 - 1954), Wed 19 Nov 1873, p2. Death-Notice* 23 May 1958 GOFF, William Henry. - Dearly beloved husband of Elsa and loving father of Nell, Doris and Jack, aged 84 years. GOFF, William Henry.-On May 22 at Caulfield. With affection. - Queenie Walstab, Selby. At last meeting of Berwick Shire Council a letter was received from an Upper Beaconsfield resident asking that a road which runs off St. George's Road should be called King Arthur. of naming roads, as far as possible after pioneer settlers, referred the matter to the Historical Society of Berwick Shire for a recommendation. The letter came before last Friday's meeting of the Society. acres which was part of the original survey back in 1878. The property, owned by a man named Lawes, had only a one-chain frontage, over an impossible route which had obviously been mapped out on a table in Melbourne without any knowledge of the local conditions. Goff's property. It is a dogleg shape, running first north then west then north again. In the early days it was known as Lawes Lane — after Mr. Lawes, who was the only person to use it. destroyed in a bush fire. Although the Lawes family still retained the property for some years after that, they lost their association with the district and the road was known as Goff's. It was known by that name until recent years. Descendants of Mr. Goff still had land there. "In my opinion we would be doing the right thing if we recommended to the council that this be called Goff Road," said Mr. Glismann. "The late W. H. Goff was actively associated with Beaconsfield Upper. I am not sure whether he was a shire councillor in the early days, but I know he stood for election to the council. He was one of the first trustees of the Assembly Hall. He ran a boys' school in the early days. call this road either Goff or Harpfield's (after Goff's property)," concluded Mr. Glismann. Members endorsed the suggestion for naming this Goff Road and a recommendation will go to the Shire Council. Historical Society of the Berwick Shire suggested the name "Goff Road" for the road running off St Georges road, Upper beaconsfield. [S1] Registry of Births Deaths and Marriages Pioneer Index Victoria 1836-1888 "#B11272." [S11] Newspaper - Argus 28 Nov 1873, p1. [S2] Registry of Births Deaths and Marriages Federation Index Victoria 1889-1901 "#M256." [S11] Newspaper - Argus 25 Mar 1899, p1. [S16] Newspaper - The Age 23 May 1958, p13. [S185] Property Titles. ; PROV (Public Records Office Victoria), C/T 4085-829 - William Henry Goff died on 22 May 1958. Probate of his will has been granted to Helen Corlett Goff and Doris Clayton Goff both of 15 Princes Avenue Caulfield East Spinsters. [S185] Property Titles. ; PROV (Public Records Office Victoria), C/T 4085-829 - Helen Corlett Goff and Doris Clayton Goff both of 15 Princes Avenue Caulfield East Spinsters are now proprietors as tenants in common in equal shares. [S35] Probate Records, PROV (Public Records Office Victoria), VPRS 28/P4, unit 1626; VPRS 7591/P3, unit 218. [S18] Newspaper - Pakenham Gazette "10 Jul 1964, p5." [S18] Newspaper - Pakenham Gazette "31 Jul 1964." [S1] Registry of Births Deaths and Marriages Pioneer Index Victoria 1836-1888 "#B11366." [S11] Newspaper - Argus 1 Apr 1876 p1. [S2] Registry of Births Deaths and Marriages Federation Index Victoria 1889-1901 "#M2298." [S11] Newspaper - Argus 17 Jun 1899 p5. [S11] Newspaper - Argus 27 Mar 1926 p36. [S11] Newspaper - Argus 30 Mar 1926, p1. [S109] Electoral Roll for Australia, 1909 "as Ernest REID." [S114] Electoral Roll for Australia, 1914 "as Ernest REID." [S119] Electoral Roll for Australia, 1919 "as Ernest REID." [S1] Registry of Births Deaths and Marriages Pioneer Index Victoria 1836-1888 "#B18452." [S11] Newspaper - Argus 23 Jan 1878 p1. [S19] Newspaper - Berwick Shire News and Pakenham and Cranbourne Gazette "17 Mar 1915, p3." [S11] Newspaper - Argus 16 Mar 1915 p1. [S11] Newspaper - Argus 10 Jun 1880 p1. [S14] Newspaper - The Telegraph, St Kilda, Prahran and South Yarra Guardian (Vic. : 1866 - 1888), Sat 2 Jul 1881, p4. [S11] Newspaper - Argus 14 Aug 1878, p1. [S5] Registry of Births Deaths and Marriages Death Index Victoria 1921-1985 "#D8094 age 86 [par William WOOLCOTT & Emily Anne CORLETT]." Miss Goff who died in April aged 101 years could fairly claim to have had an association with Upper Beaconsfield for more than a century, having been first brought here by her parents soon after she was born. She continued to make regular weekend and holiday visits to her home "Harpfields," until very recently when her visits were reduced. She was truly a lady with great charm and ability. Even in her latter days she was alert, happy, smiling, cheerful, friendly, and possessed of good recall. She had an enormous pride in her family particularly her grandfather. When their father died in 1958 the two Misses Goff inherited Harpfields. The furniture and decorations had changed little from their grandfather's day, a token of the family's respect for him. With the death of her older sister, Helen in 1982, Miss Doris became the sole owner for a short time until the house and contents were lost in the Ash Wednesday fires of 1983. She quickly rebuilt a house on the site, this time in brick, but still enjoying the lovely outlook to the north. Miss Doris - "Dorrie" to her friends was fortunate to have had a very satisfying life. A nurse in her early days, she worked for a time at the Royal Children's Hospital, with children suffering with whooping cough, a common and dangerous disease of childhood until immunisation was introduced. In her latter years she worked with Red Cross as a volunteer bookbinder. It was said she could turn her hand to any task, even upholstery. At weekends she spent much time in the garden, and even in recent years was sometimes to be seen repairing or painting her front fence. [S35] Probate Records, PROV (Public Records Office Victoria), VPRS 28/P33, unit 422. [S185] Property Titles. ; PROV (Public Records Office Victoria), C/T 4085-829. [S3] Registry of Births Deaths and Marriages Edwardian Index Victoria 1902-1913 "#B7275." [S15] Newspaper - Village Bell "013-1980 p9." [S185] Property Titles. ; PROV (Public Records Office Victoria), C/T 4085-829 - Doris Clayton Goff of 15 Princes Avenue Caulfield East Spinster is now the proprietor. [S35] Probate Records, PROV (Public Records Office Victoria), Death certificate in probate. [S15] Newspaper - Village Bell "Issue 153, August 2003, p8 by Charles Wilson." [S185] Property Titles. ; PROV (Public Records Office Victoria), C/T 4085-829 - Doris Clayton Goff of 15 Princes Avenue Caulfield East Spinster. At SIGNUM PRO Australia we manufacture strings at our state of the art manufacturing facility in Germany. What makes SIGNUM PRO better then the rest is that we manufacture and design only the highest quality tennis strings and tennis equipment. [S3] Registry of Births Deaths and Marriages Edwardian Index Victoria 1902-1913 "#B14966." [S14] Newspaper - Sydney Morning Herald, 12 & 15 Jul 2000 (Ryerson Index). Article* 17 Sep 1904 The article reads: BUSH SKETCHER. THE OLD STATION. By ERNEST REID. "My dharling, mine not been see you this long time," was Cockie's usual greeting several months' absence. Article 17 Nov 1906 The article reads: BUSH SKETCHER. MEMORIES. By ERNEST REID. With the first warm breath of spring the is filled with the cheerful flute-like notes of hundreds of birds. Article 27 Mar 1909 The article reads: BUSH SKETCHER. THE BACK STATION. By ERNEST REID. A fascinating calm of sweet content ment seems to clothe the spot where the old Back Station has stood for more than fifty years. 23 Oct 1931, Australian Station Stories. IN THE NINETIES. LIFE ON THE BARCOO. "Australian Station Stories," by Ernest Reid (Publisher, Frank "Wilmot, York House, Little Collins Street, Melbourne) — Beautifully written by a lover of the bush. The reader gets to the end too soon. Those who have been brought up to station life will appreciate the strong poetic descriptive character features of this delightful little volume. [S11] Newspaper - Argus 22 Sep 1950, p19. [S80] Ancestry - Family Tree, TURNER Family Tree - Owner: RuthHTurner. [S22] Victorian Government. BDM Index Victoria (online) "#M7647 - as Ena Grace Newsham SMALL & Ernest REID." [S11] Newspaper - Argus 26 Oct 1935, p17. [S35] Probate Records, PROV (Public Records Office Victoria), VPRS 28/P4, unit 72; VPRS 7591/P2, unit 1512. [S14] Newspaper - The Longreach Leader, 23 Oct 1931, p3. 18 Sep 1945, VICTORIAN AND SA WAR PRISONERS. The Army Department is still checking names of Australian prisoners of war who have been liberated from camps in Singapore, Siam and Pacific islands. [S3] Registry of Births Deaths and Marriages Edwardian Index Victoria 1902-1913 "#B27144." [S80] Ancestry - Family Tree, Reid Family Tree. [S22] Victorian Government. BDM Index Victoria (online) "Place of birth Durham England." [S14] Newspaper - Army News (Darwin, NT : 1941 - 1946), Tue 18 Sep 1945, p3. Indexing Project (Batch) Number C01405-5 / System Origin Ireland-EASy / Source Film Number 101211 / Reference Number v 12-2 p 746. Date assumed - calculated from birth. [S2] Registry of Births Deaths and Marriages Federation Index Victoria 1889-1901 "#B15830." [S35] Probate Records, PROV (Public Records Office Victoria), VPRS 28/P12, unit 226; VPRS 7591/P8, unit 46. [S185] Property Titles. ; PROV (Public Records Office Victoria), C/T 4085-829 - Helen Corlett Goff died on 1 July 1982. Probate of her will has been granted to Doris Clayton Goff. Land-Note 10 Jun 1879 GEM-C-12: The Australian and European Bank Limited, Melbourne 10 June 1879. Dear Sir, Enclosed please find copy of a letter received by me a day or two ago. I would merely say in this connection that I have no wish to be mixed up in any dispute in this or any other block of land at Beaconsfield or elsewhere and would prefer to give it up if such were probable. On this fence of England's I propose to build but shall do nothing if there are rival claims, Yours truly W Williams. Land-Note* 6 Sep 1888 GEM-C-61: Melbourne, Sept 6 1888. To the Honorable the President of the Board of Lands and Works, Melbourne. Sir, In explanation of my attaching my signature to this application I do myself the honor to state. 1st That the original selector (my late son) is dead. 2nd That he was unmarried at the time of his decease. 3ed That he had no estate at the time of his death of sufficient importance to render it necessary to take out letters of administration. 4th That I am his legal heir. Death-Notice* 12 Dec 1890 WILLIAMS.—On the 10th inst., suddenly, of heart disease, William Williams, of Byrnhyrst, Orrong- road, Armadale, aged 65 years. The Friends of the late Mr. WILLIAM WILLIAMS are informed that his remains will be interred in the Melbourne General Cemetery. 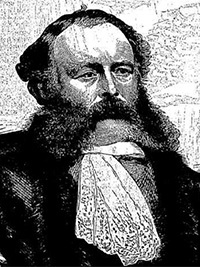 27 Nov 1866, WILLIAM WILLIAMS, ESQ , MAYOR OF MELBOURNE. 12 Dec 1890, SUDDEN DEATH OF AN EX-MAYOR OF MELBOURNE. Under very painful circumstances yesterday morning the body of Mr William Williams was found in his offices at 2 Prell's-buildings, at the corner of Collins and Queen streets. 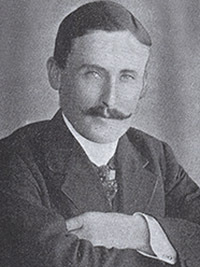 Mr Williams at one time occupied a very prominent position in civic life. He was 65 years of age, and resided at Brynhyrst-house, Orrong road, Armadale. For some time past he had been in weak health. The last to see the deceased alive was his son Percy Williams who left his father in the office at Prell's buildings at half past 1 o'clock on Wednesday. As the deceased did not return home from the city at his usual hour in the evening, some apprehension was caused, which deepened into anxiety and alarm as he failed to return throughout the night. Mr Percy Williams was communicated with, and this gentleman paid a visit to his father's office early yesterday morning, and found the door looked. On effecting an entrance, he was horrified to find his father lying in the office on his right side, while blood was oozing from his mouth, life being extinct. He at once reported the matter to the police at the Bourke street west station, and Constable P J Foley had the body removed to the morgue. Here an inquest was held by Dr Youl later on in the day. The medical evidence went to show that death was due to a rupture of an aneurism of the aorta. It was stated that the deceased was in the habit of locking himself in his office. [S185] Property Titles. ; PROV (Public Records Office Victoria), C/T 2097-397 - William Williams of Armadale Contractor. VPRS 439/P0000/250 1879 - 1888. [S81] Land Records, Parish Maps & Council Rate Books. ; PROV (Public Records Office Victoria), VPRS 439/P0000/250 49/2929 GEMBROOK C -- 61 20--0--0 1874 - 1889. [S185] Property Titles. ; PROV (Public Records Office Victoria), C/T 2149-675 - William Williams of Collins Street West Melbourne Gentleman. [S185] Property Titles. ; PROV (Public Records Office Victoria), C/T 2212-340 - William Williams of Armadale. [S185] Property Titles. ; PROV (Public Records Office Victoria), C/T 2177-367 - William Williams of Orrong Road Toorak Gentleman. Male, Williams, William, Rupture of an aneurism of the aorta, The Morgue Melbourne, 1890/1642, 11 Dec 1890,. [S11] Newspaper - Argus 12 Dec 1890 p1. [S35] Probate Records, PROV (Public Records Office Victoria), VPRS 28/P0, unit 560; VPRS 28/P2, unit 304; VPRS 7591/P2, unit 173. [S185] Property Titles. ; PROV (Public Records Office Victoria), C/T 2097-397 - William Williams died on the 10th December 1890. Probate of his will has been granted to The Equity Trustees and Agency Company Limited of 85 Queen Street Melbourne and Edgar Elmore Williams of Flinders Street Melbourne Gentleman. [S185] Property Titles. ; PROV (Public Records Office Victoria), C/T 2097-397 - William Williams died 10 December 1890. Probate of his will has been granted to The Equity Trustees Executors And Agency Company Ltd and Edgar Elmore Williams of Flinders Street Gentleman. [S185] Property Titles. ; PROV (Public Records Office Victoria), C/T 2177-367 & C/T 2212-340 & 2149-675 - William Williams died on the 10th December 1890. Probate of his will has been granted to The Equity Trustees and Agency Company Limited of 472 Bourke Street Melbourne (with Edgar Elmore Williams now deceased). [S185] Property Titles. ; PROV (Public Records Office Victoria), C/T 2212-340 - Clifton Leopold Downey of Dewhurst Orchardist. [S185] Property Titles. ; PROV (Public Records Office Victoria), C/T 2149-675 - Clifton Leopold Downey of Dewhurst Orchardist. [S185] Property Titles. ; PROV (Public Records Office Victoria), C/T 2177-367 - Clifton Leopold Downey of Dewhurst Orchardist. [S14] Newspaper - The Australian News for Home Readers (Vic. : 1864-1867), 27 Nov 1866, p4. [S11] Newspaper - Argus 12 Dec 1890, p6. [S1] Registry of Births Deaths and Marriages Pioneer Index Victoria 1836-1888 "#D8111 age 50 [par John GILLARD & Jane FERGUSON]." [S11] Newspaper - Argus 7 Sep 1880, p1. [S1] Registry of Births Deaths and Marriages Pioneer Index Victoria 1836-1888 "#B5641." [S11] Newspaper - Argus 3 Dec 1886, p1. [S185] Property Titles. ; PROV (Public Records Office Victoria), C/T 2149-675 - Percy John Walter Williams of Melbourne Clerk. [S3] Registry of Births Deaths and Marriages Edwardian Index Victoria 1902-1913 "as Percival John Walter WILLIAMS." Death-Notice* 6 Nov 1934 WILLIAMS.—On the 5th November, 1934, at Philomena Rest Home, Kooyong road, Toorak, Edgar Elmore Williams, aged 79 years. [S35] Probate Records, PROV (Public Records Office Victoria), VPRS 28/P3, unit 2633; VPRS 7591/P2, unit 938. [S1] Registry of Births Deaths and Marriages Pioneer Index Victoria 1836-1888 "#B9269." [S81] Land Records, Parish Maps & Council Rate Books. ; PROV (Public Records Office Victoria), Land File 2930/49.4. [S185] Property Titles. ; PROV (Public Records Office Victoria), C/T 2177-367 - Edgar Elmore Williams of Armadale. [S11] Newspaper - Argus 6 Nov 1934 p1. [S39] Index of burials in the cemetery of Fawkner Memorial Park, online @ http://www.gmct.com.au/deceased-search/ "Cremated remains scattered." [S11] Newspaper - Argus 11 Dec 1934 p8. [S1] Registry of Births Deaths and Marriages Pioneer Index Victoria 1836-1888 "#B7111." 3 Jun 1924, License Cancelled. Clifton Downey of Diamond Creek was charged with having driven a motor car in a negligent manner on May 10. Constable E C Annett of Russell Street said that while on duty in Russell street with Constable T.W. Carey on May 10 he saw Downey driving a motor-car along Russell Street in a southerly direction before reaching tho inter section of Russell and Latrobe Street he drove on to the wrong side of the road, apparently to drive west along Latrobe street. In doing so he knocked over a man who was cycling along Russell street in a northerly direction. The cyclists right leg was broken, and his bicycle was considerably damaged. He was conveyed to a hospital in Downey's car. Constable Careygave corroborative evidence. Detective A I. Lee stated that he had ascertained by measurement that Downey had 'cut the corner" by 20ft. Downey denied that he had acted negligently The cyclist had been 'zigzagging' about the road and Downey did not think that he would run into him. [S2] Registry of Births Deaths and Marriages Federation Index Victoria 1889-1901 "#B9066." Fate Returned to Australia 21 July 1917. [S185] Property Titles. ; PROV (Public Records Office Victoria), C/T 2853-461 - Clifton Leopold Downey of Dewhurst Via Upper Beaconsfield Orchardist. 1934/5 rates Downey 280a lot 68 NAV 25 40a lot 68A NAV20. [S185] Property Titles. ; PROV (Public Records Office Victoria), C/T 2631-148 - Clifton Leopold Downey of Dewhurst Via Upper Beaconsfield Orchardist. [S185] Property Titles. ; PROV (Public Records Office Victoria), C/T 5539-710 - Clifton Leopold Downey of Dewhurst via Upper Beaconsfield Orchardist. [S185] Property Titles. ; PROV (Public Records Office Victoria), C/T 5139-747 - Clifton Leopold Downey of Dewhurst via Upper Beaconsfield Orchardist. [S185] Property Titles. ; PROV (Public Records Office Victoria), C/T 2853-461 - George Alexander Beattie of 65 Elizabeth Street Melbourne Physical Culture Teacher, Musia Rubinstein of 30 Beach Avenue Elwood Married Woman and Edith Laura Jean Pile of Sherwood Street Glen Iris Traveller - tenants in common in equal shares - C/T 6206-159. [S185] Property Titles. ; PROV (Public Records Office Victoria), C/T 2853-461 - Herbert Alfred Davis of 219 Kambrook Road Caulfield Farmer - C/T 7519-097. [S185] Property Titles. ; PROV (Public Records Office Victoria), C/T 5539-710 - Herbert Alfred Davis of 219 Kambrook Road Caulfield Farmer. [S185] Property Titles. ; PROV (Public Records Office Victoria), C/T 2177-367 - George Martakis of 390 Clarendon Street South Melbourne Wholesale Produce Merchant. [S185] Property Titles. ; PROV (Public Records Office Victoria), C/T 2149-675 - George Martakis of 390 Clarendon Street South Melbourne Wholesale Produce Merchant. [S185] Property Titles. ; PROV (Public Records Office Victoria), C/T 2212-340 - George Martakis of 390 Clarendon Street South Melbourne Wholesale Produce Merchant. [S185] Property Titles. ; PROV (Public Records Office Victoria), C/T 2853-461 - Frederick Albert Ingwersen of Stud Road Wantirna Carrier - C/T 8070-199. [S185] Property Titles. ; PROV (Public Records Office Victoria), C/T 5139-747 - B211210 (Road) 4a 3r 23p - C/T 8360-099 ; B211211 21a 2r 16p - C/T 8360-100 ; B433997 C/T 8360-101. [S185] Property Titles. ; PROV (Public Records Office Victoria), C/T 5139-747 - B211210 (Road) 4a 3r 23p - C/T 8360-099 - Shire of Berwick. [S185] Property Titles. ; PROV (Public Records Office Victoria), C/T 2853-461 - subdivision into lots 1 to 5 l/p 61055 - C/T 8441-929 to 933. [S185] Property Titles. ; PROV (Public Records Office Victoria), C/T 2631-148 - subdivision into lots 6 to 9 l/p 65205 - C/T 8526-187 to 190. 1961/65 - 11a 23p Lot 5 L/P 61055 Lot 9 L/P 65205 now NAV68. [S185] Property Titles. ; PROV (Public Records Office Victoria), C/T 8441-933 - Wolfgang Walter Toolmaker and Erika Johanna Walter Married Woman both of 6 David Street Noble Park - joint proprietors. [S185] Property Titles. ; PROV (Public Records Office Victoria), C/T 2631-148 - cancelled as to part - Lot 1 - C/T 8864-990 - Walter Hurst Boilermaker and Erna Hurst Married Woman both of Dewhurst via Upper Beaconsfield - joint proprietors. [S66] Berwick Shire Rates, 1870-1965 Rate Book 1961/65 - Lot 1 & House to W + E Hurst £1750 per 9 Aug 1964 NAV60. [S5] Registry of Births Deaths and Marriages Death Index Victoria 1921-1985 "#D896 age 84 [par Hugh Lewis Zephyr DOWNEY & Elizabeth EDMONDSON]." [S11] Newspaper - Argus 3 Jun 1924, p9.